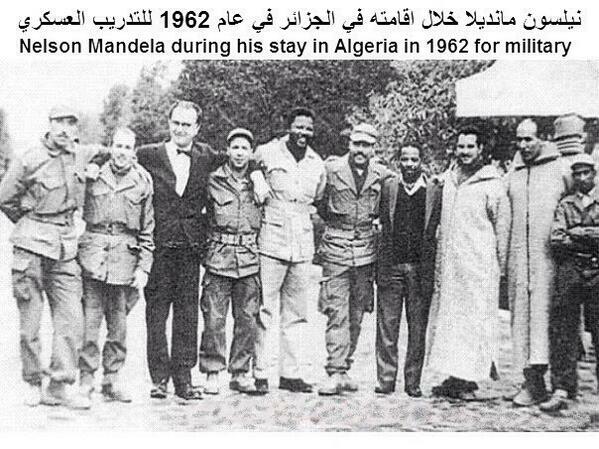 Nelson Mandela training with the Algerian Liberation Front in 1962. The Algerians fought an 8-year war, 1954-1962, to become independent from French imperialism, in the course of which between half a million and a million Algerians died (the population of the country was then 11 million). In 1962, South Africa was ruled by right wing Afrikaners who denied the black majority basic human rights, including the franchise, while exploiting their labor.